PRICE REDUCED!! 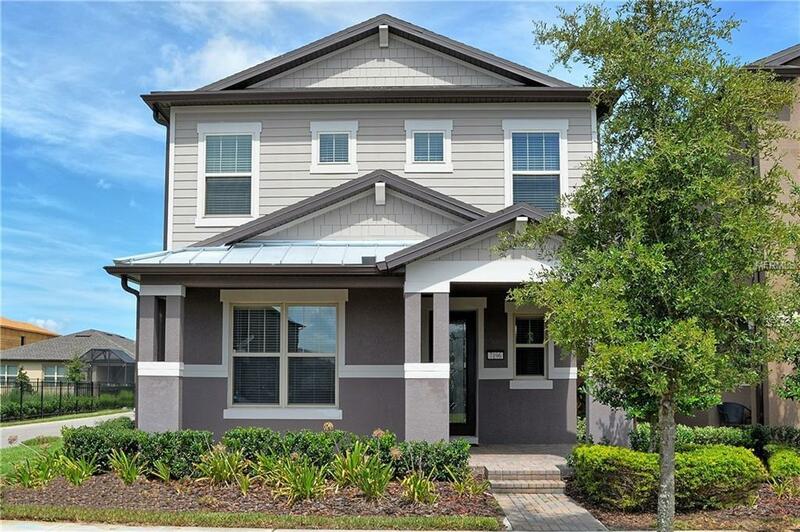 Immaculate 2 story single family home in the Lakeview Pointe subdivision of Winter Garden. This 3-bedroom, 2.5 bath move-in ready home is situated on a corner lot. The kitchen/family room combo with French doors leads to the trellis covered patio/backyard space - ready to host your next cookout! This is the perfect home for entertaining. Home features a large kitchen island, quartz counter tops, and stainless steel appliances. Great family room kitchen combo as well as a downstairs room that can be modified as a 3rd bedroom or an office. Other features include upstairs laundry and bonus loft area (which has a closet and can be closed in to make this a 4 bedroom home) and a 2-car garage. Come and live in a community that is low maintenance as the lawn care is included in the HOA! Dont miss this fantastic opportunity call and schedule your showing today! Additional Lease Restrictions Check With Hoa For Leasing Restrictions.